We're getting close to the winter solstice (at least here in the Northern Hemisphere) and I'd happily trade places with someone in Australia right now! It's tooo dark and cold for me! To keep our spirits up in the darkest days of winter, my family celebrates Solstice with some close friends with an annual feast in which the foods are close to what might have been available to the ancient northern Europeans during the midwinter festivals to bring back the sun. My husband's Danish ancestry and my northern England ancestry give us a connection to those ancient peoples. We cook either poultry or pork and serve it with barley, dark bread, and some kind of root vegetable which is served on plates (no trenchers) but without silverware (just our hands) and with only candles to light the house. This has been going on every winter solstice for 30 years, except when family obligations have kept us apart. One year, one of the couples brought mead to keep things authentic to northern Europe. Can't say any of us developed a real appreciation for fermented honey, but it was fun to try it! Most years, my school is on holiday break by Dec. 21st or 22nd. But I always tried - no matter what unit I happened to be teaching - to bring in a little solstice fun before our break. 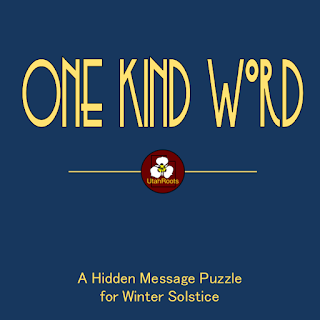 So here's a FREE solstice related Hidden Message Puzzle for you to download and share with your students. Just click on the link. 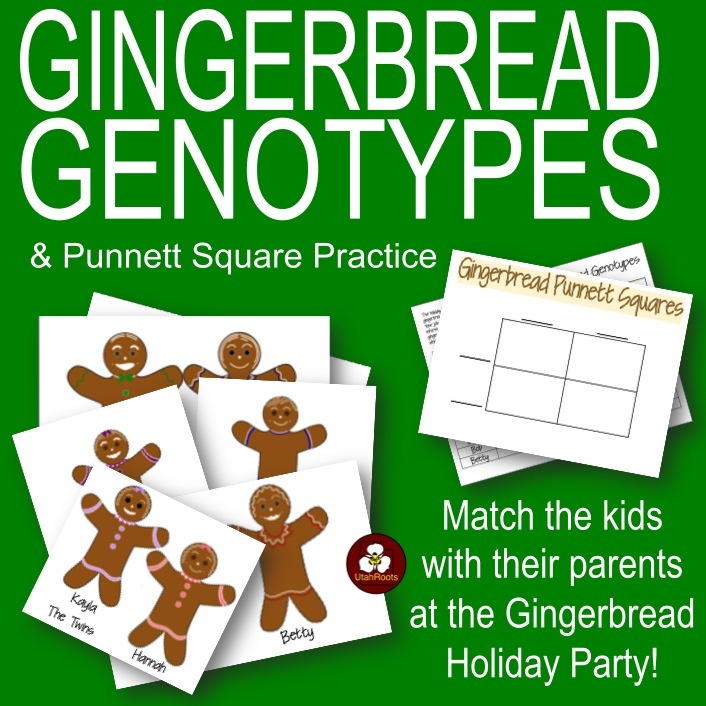 And if you happen to be teaching genetics right now, you might enjoy this holiday activity that uses gingerbread kids and parents to practice using genotypes, phenotypes, and Punnett Squares. Have a happy solstice and do whatever you need to do to make sure the sun comes back, won't you? A Do-Over for the New Year.